*** If you are interested in Yukata, please check HERE. These items below are for all other types of Kimonos such as Furisode, Tomesode, Houmongi, Komon, and etc.. It is a long undergarment for Kimono. 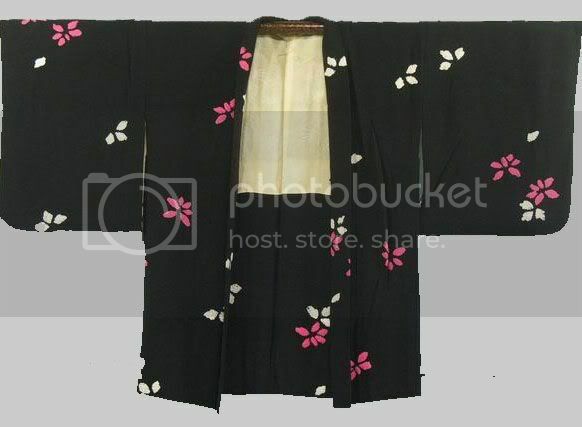 It is worn over the "Hadajuban" and underneath the "Kimono". The Purpose of wearing Nagajuban is to avoid the Kimono getting dirty and stained from the swet etc... You saw the "Haneri" on to the "Nagajuban" collar for this reason. 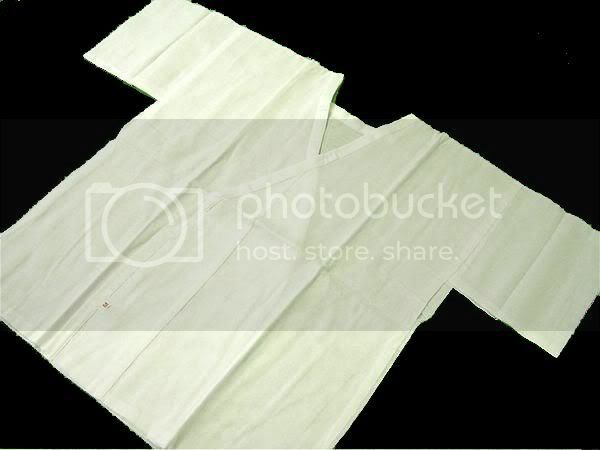 Haneri is a collar that is sawn on to the "Nagajuban" to avoid the Kimono collar to get dirty. 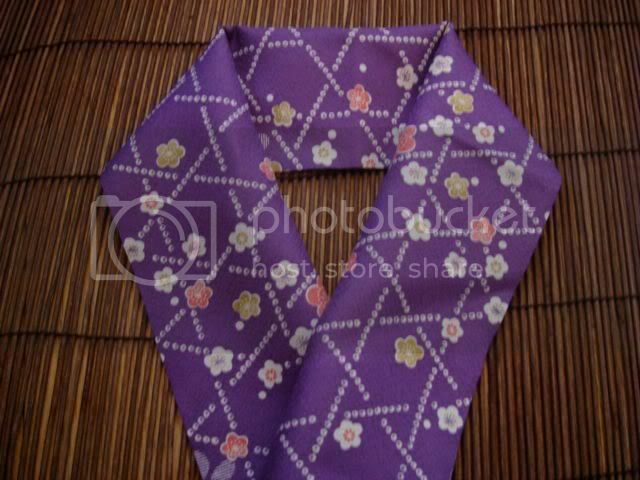 Haneri can be seen as a layer of Kimono collar so it also gives a elegant look to Kimono. Erishin is put through in between "Haneri" sawn on to "Nagajuban" to make the Eri (collar) shape nice. Koshi = waist. Himo=rope. 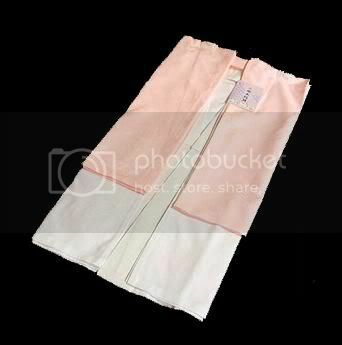 Koshihimo is a long thin cloth tied around the waist to hold "Juban" and "Kimono". Normally, 2 or 3 Koshihimos are used to wear Kimono however many Kimono masters only use 1. 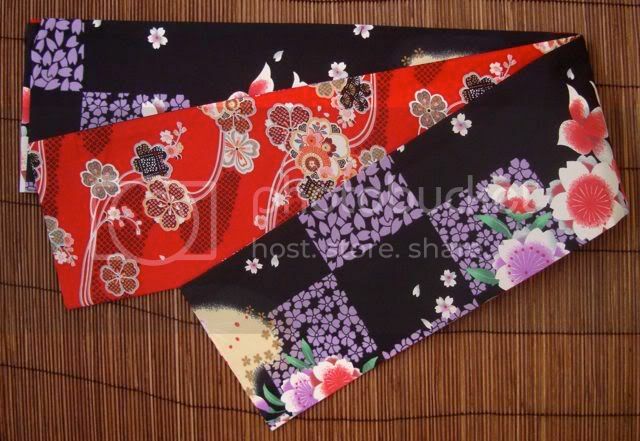 Datejime is a flat wide cloth which is tied below the bust to stablize the area. One for "Nagajuban" and one for "Kimono" is normally used. 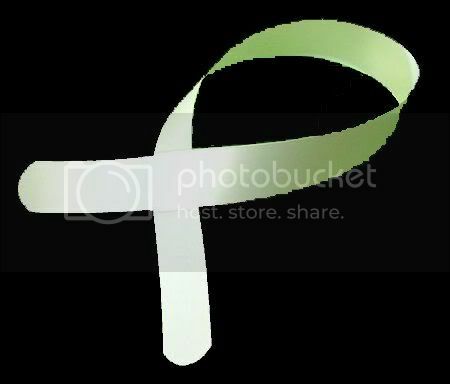 If the datejime has a velcro closer, it is also celled magic belt. 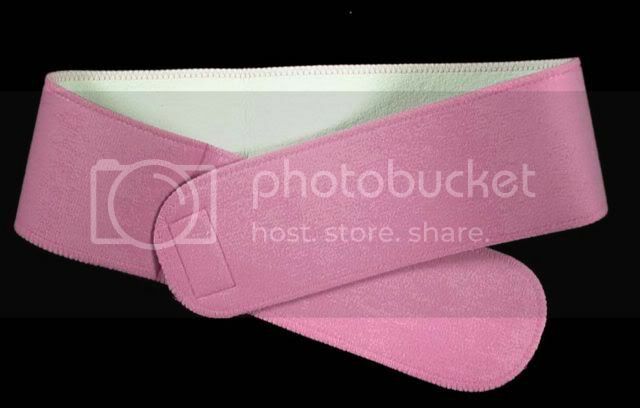 We recommend this magic belt because it is easy to use and less knot around the waist. Make sure your Obi's Kaku (rank) matches with your Kimono. Obiita is a long circular thin plate which is inserted inbetween "Kimono" and "Obi" to keep "Obi" stays neat. 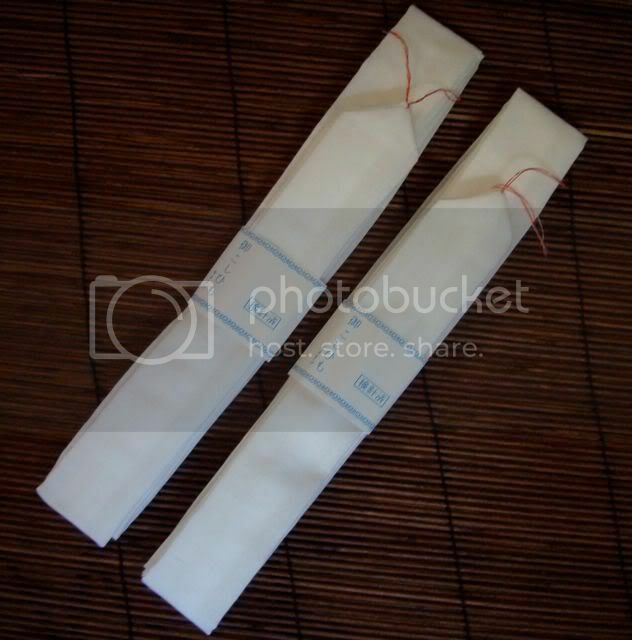 Obimakura is used when you tie into "Otaiko Musubi". A Larger Obimakura is recommended for young people and smaller Obimakura is recommended older people. A long string (rope) which is used to keep the "Obi"stable. It also decorates the Obi since it is tied on top of the Obi. 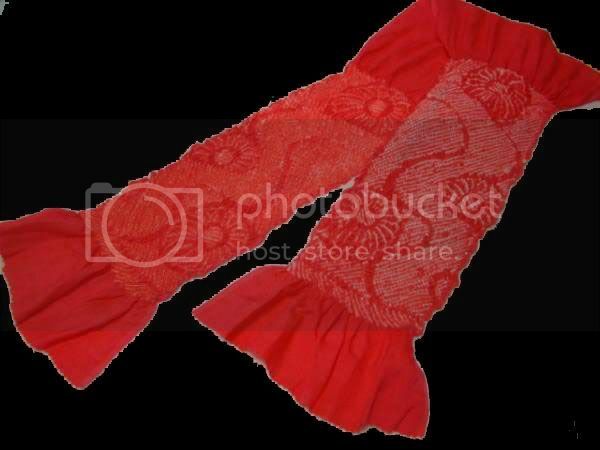 A long piece of cloth which is used to keep the shape of "Obi" knot.It also decorates the Obi since it can be seen above the Obi. 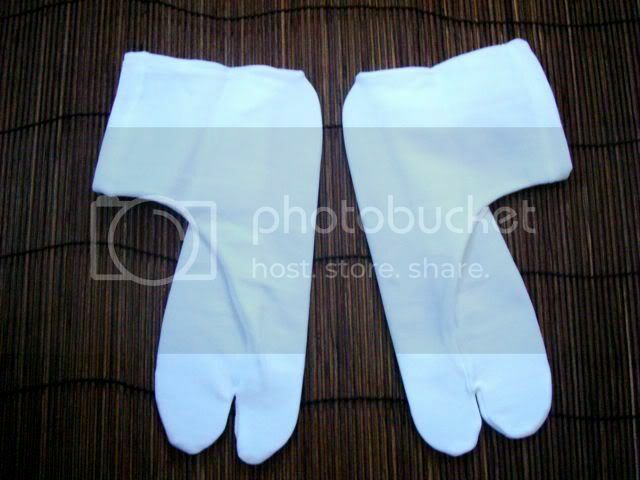 Tabi is a sock for Kimono. Tabi separates the thumb and other toes. 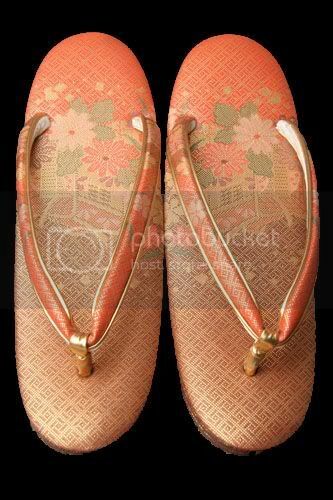 Geta and Zori are the sandals for the Kimono. It is a underwear for Kimono. This is the first thing to put when you wear a Kimono. 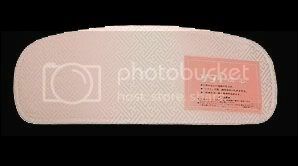 "Hadajuban" ---> "Nagajuban" ---> "Kimono"
Korin Belt is a small belt which is used to avoid the collar area to get loose and slide. 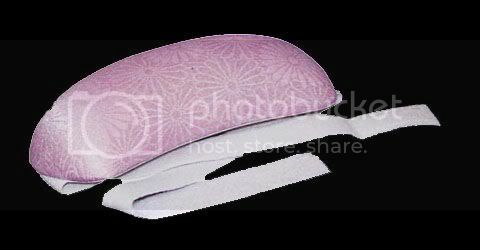 Obidome is the only accessory normally worn with a Kimono. 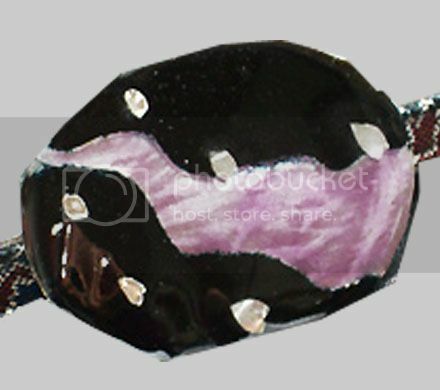 "Obijime" is put through the small jewely,Obidome, and together they will decolate the "Obi". 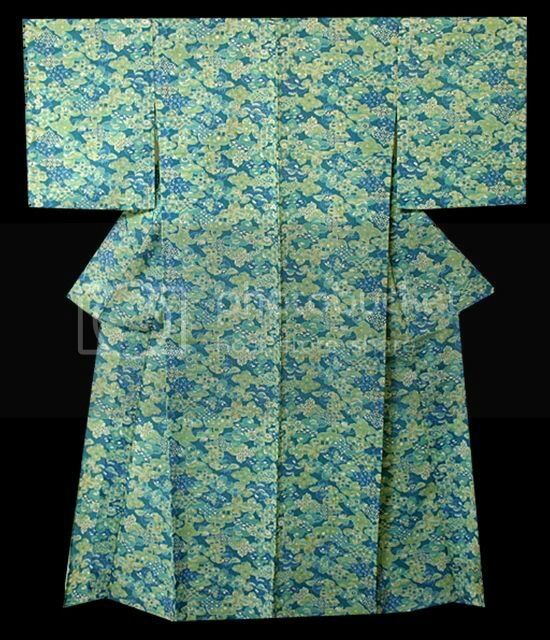 Haori is a jacket for Kimono. There are short length Haori and Long length Haori. 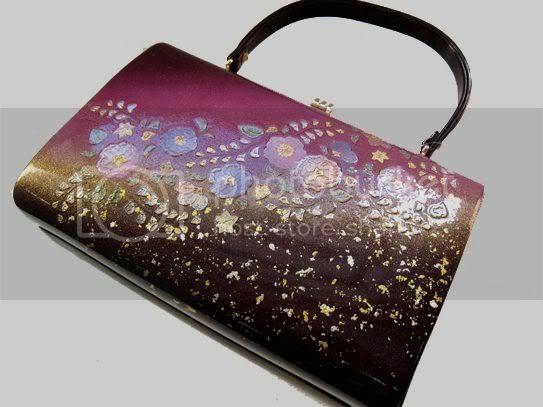 Wasou bag is a bag for Kimono. Kinchaku bag is often used with a Yukata.